And he shall be great like unto Moses, whom I have said I would raise up unto you, to deliver my people, O house of Israel. And Moses will I raise up, to deliver thy people out of the land of Egypt. 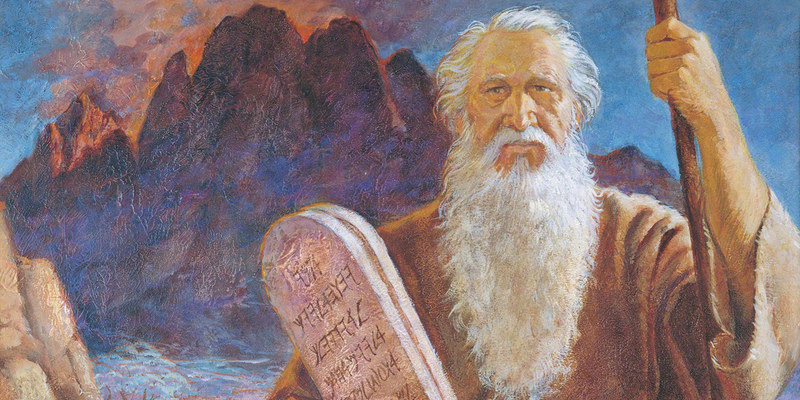 As with Moses, Lehi received commandments in visions from God, led his people out of a wicked land, through a wilderness, across a sea, and to a promised land. Then, after delivering a farewell address, he died, leaving it to younger leadership to establish a newly covenanted people in the promised land. Additionally, much like that of Moses, Lehi’s prophetic call involved seeing God (1 Nephi 1:8), and also a pillar of fire, from which he apparently heard a heavenly voice (1 Nephi 1:6). The pillar of fire and also Lehi’s vision of the tree of life are comparable to Moses seeing the burning bush (Exodus 3:1–6). Professor Reynolds noted how the “book of the law,” or what was apparently the biblical book of Deuteronomy, had been rediscovered in the temple of Jerusalem by the priests of King Josiah, about two decades before Lehi left Jerusalem. King Josiah laid strong emphasis on the message of Deuteronomy for the people of Jerusalem and surrounding areas—a message that would certainly have influenced Lehi and his family. Deuteronomy presents the last words of Moses to his people, and Reynolds asserted that Lehi knew those words well and alluded to them “at every turn” of his own farewell discourse to his family (2 Nephi 1–4). It may be difficult for modern readers to understand why a prophet like Lehi would find it appropriate to compare himself to Israel’s great prophet-deliverer. But because Lehi and his people understood their own experience in terms of types and shadows of previous times (see Mosiah 3:15), the comparison was probably quite natural. By way of comparison, Lehi really had no better choice than Moses. Nephi, for example, saw his family as symbolically repeating the deliverance of Moses on several occasions. Moreover, the fact that God was leading Lehi’s family out of a wicked place to a new promised land would have led his family members to naturally see him as a counterpart to Moses. Ancient Israelites were accustomed to, and probably expected, subsequent prophets after Moses to be favorably compared to the great lawgiver of Israel. The biblical record immediately begins such comparisons with Moses’ prophetic successor, Joshua, who led the children of Israel out of the wilderness, across the Jordan River on dry ground, and on into the promised land (see Joshua 4:14). The biblical texts go on to draw similar parallels, often implicitly, between Moses and Gideon, Samuel, David, Elijah, Josiah, Ezekiel, Jeremiah, Ezra, and Jesus Christ Himself. These typologies are especially prominent in the accounts of transitional figures such as Samuel. Samuel oversaw the transition from the rule of prophets and judges over Israel to the rule of the monarchy under kings Saul and David. Even Jesus Christ was presented as a “new Moses” in the New Testament, one who came to fulfill the Law of Moses and bring about a new covenant and a higher law. It would have been unnatural for Lehi to have been called to be a prophet, to be such a great transitional figure for his people, and not to have followed this same pattern of typifying Moses. Kent Brown, “The Exodus Pattern in the Book of Mormon,” in From Jerusalem to Zarahemla: Literary and Historical Studies of the Book of Mormon (Provo, UT: Religious Studies Center, Brigham Young University, 1998), 75–98. Kent Brown, “Moses and Jesus: The Old Adorns the New,” in The Book of Mormon: 3 Nephi 9–30, This is My Gospel, ed. Monte S. Nyman and Charles D. Tate, Jr. (Provo, UT: Religious Studies Center, Brigham Young University, 1993), 89–100. Noel B. Reynolds, “The Israelite Background of Moses Typology in the Book of Mormon,” BYU Studies 44, no. 2 (2005): 10. This pillar of fire can be compared to the pillar of fire that enveloped the Lord as He led Moses and the children of Israel out of the land of Egypt (see Exodus 13:21). Reynolds, “Israelite Background,” 11; Noel B. Reynolds, “Lehi as Moses,” Journal of Book of Mormon Studies 9, no. 2 (2000): 26–35. 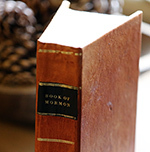 For more on the significance that the discovery of Deuteronomy, and the resulting religious reforms by King Josiah, had on Lehi and his family, see Neal Rappleye, “The Deuteronomist Reforms and Lehi’s Family Dynamics: A Social Context for the Rebellions of Laman and Lemuel,” Interpreter: A Journal of Mormon Scripture 16 (2015): 87–99. See 1 Nephi 4:1–3; 17:20, 26, 44. See also the very clear connections made by later Nephites in Mosiah 7:19–20; Alma 36:28–29. See Reynolds, “Israelite Background,” 11. See Reynolds, “Israelite Background,” 14–15; see also David Rolph Seely and Jo Ann H. Seely, “Lehi and Jeremiah: Prophets, Priests, and Patriarchs,” in Glimpses of Lehi’s Jerusalem, ed. John W. Welch, David Rolph Seely, and Jo Ann H. Seely (Provo, UT: FARMS, 2004), 368–371. See Reynolds, “Israelite Background,” 17. For a treatment of the parallels between Moses and Jesus, see S. Kent Brown, “Moses and Jesus: The Old Adorns the New,” in The Book of Mormon: 3 Nephi 9–30, This is My Gospel, ed. Monte S. Nyman and Charles D. Tate, Jr. (Provo, UT: Religious Studies Center, Brigham Young University, 1993), 89–100.